In the beginning… was oxygen? Debate has long reined over the mysterious origin of oxygen in our atmosphere. Because oxygen is such a key ingredient in life it would seem necessary for oxygen to be present before life could have formed. However, the most accepted theory in scientific circles today is that life came first, then came oxygen. But isn’t oxygen needed for life? Here I will briefly introduce the dilemma of oxygen’s origins on earth and the conclusions (or lack there of) it provides. The story starts with earth. Earth is hungry to consume oxygen. Oxygen reacts with minerals in the earth, with hydrogen in the atmosphere, and dissolved minerals and gases in the ocean. The earth consumes oxygen relentlessly (Catling, 70). The oxygen absorbing substances are called “reductants,” and they are a problem for any source of oxygen (Catling, 69). David Catling, an Astrobiology Professor at the University of Washington writes, “While oxygen appears to be essential for complex life, planets are constructed with chemicals that consume oxygen, so oxygen should not accumulate. Earth’s oxygen rich atmosphere is rather mysterious,” (Catling, 69). In fact, the only way for oxygen to accumulate is for oxygen production to exceed earth’s ability to consume it. So what are the potential sources for oxygen? There are two sources for oxygen; biological and non-biological. The latter is a process called photodissociation, in which ultraviolet rays break apart water molecules separating the oxygen from the hydrogen. Studies have shown that the rate at which this could occur is the same rate at which hydrogen would escape the atmosphere (Des Marais). However, the rate at which this would occur is hardly sufficient to produce the amount of oxygen present on earth. (Des Marais). So the only other solution is biological. When organic carbon and pyrite become buried in sediments, mostly from the ocean, oxygen is released (Catling, 69). There is a problem with this theory though because it would require an increase of the burial rate to create the exponential increase needed for oxygen to overwhelm earth’s reductants, yet studies show that carbon burial in sedimentary rock was constant during this period of time in earth’s history (Siegel). So carbon burial cannot be the predominant cause. The standard uniformitarian model for the evolution of life and chemical compositions in earth’s atmosphere. However, organic life itself creates oxygen. Cyanobacteria was the first photosynthesizer, and thus the first producer of oxygen (Eden, 33 and Wolfe, 143). Cyanobacteria itself cannot be the cause for the accumulation though because according to current theories and history models cyanobacteria appeared almost a billion years before the oxygen accumulated in earth’s atmosphere. So again, we hit a brick wall. In the end there are a variety of theories explaining the oxygen build up, but there is a reoccurring theme in all of them: Life came before oxygen, because life is the cause of oxygen. As science writer David Biello writes, “Climate, volcanism, plate tectonics all played a key role in regulating the oxygen level during various time periods. Yet no one has come up with a rock-solid test to determine the precise oxygen content of the atmosphere at any given time from the geologic record. But one thing is clear—the origins of oxygen in Earth’s atmosphere derive from one thing: life,” (Biello). This “fact” that oxygen origins come from life is assumed, yet when analyzed, presents a problem that jeopardizes the entire theory of oxygen’s origin. Cyanobacteria. The assumed origin of oxygen on earth. Oxygen and life have a catch 22 relationship. Oxygen is very harmful to life (Eden, 33). At the same time oxygen is needed to provide the ozone layer which protects life from ultraviolet radiation (UVR)coming from the sun (Perlman & Milder, pp. 121). If Cynobateria came before oxygen, because it is the cause of oxygen, then Cynobacteria would have had to develop several forms of protection to mitigate the damage from UVR: avoidance, scavenging, screening, repair, and programmed cell death (Singh, Hader, and Sinha). However, UVR damage is immediate and the time needed to “evolve” protection against it via natural selection, incredibly slow. So, UVR damage would occur before any such defense mechanisms could evolve. One seemingly good solution to this problem is water. More specifically, the ocean. 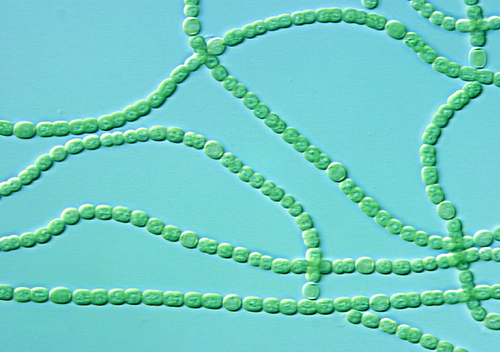 If cyanobacteria first evolved in the ocean, the ocean would protect them from UVR, right? Well not exactly. The only way for the ocean to block UVR is if you go deep underwater. At which point the depth is too deep to photosynthesize. The argument then follows, that perhaps life first originated in the ocean, then overtime evolved enough to come up to the surface to photosynthesize without getting burned by UVR. But even this theory has its own problems. Namely the problem of hydrolosis or “water-splitting.” The US National Academy of Sciences explains, “In water, the assembly of nucleosides from component sugars and nucleobases, the assembly of nucleotides from nucleosides and phosphate, and the assembly of oligonucleotides from nucleotides are all thermodynamically uphill in water. Two amino acids do not spontaneously join in water. Rather, the opposite reaction is thermodynamically favored at any plausible concentrations: polypeptide chains spontaneously hydrolyze in water, yielding their constituent amino acids,” (Luskin). Physicist Richard Morris concurs, “… water tends to break chains of amino acids. If any proteins had formed in the ocean 3.5 billion years ago, they would have quickly disintegrated,” (Morris, 167). Additionally, the cytoplasm of living cells contain essential minerals of potassium, zinc, manganese and phosphate ions. If cells manifested naturally, these minerals would need to be present nearby. But marine environments do not have widespread concentrations of these minerals (Switek). Thus, it is clear, life could not have formed in the ocean. What we’re left with is a perplexing paradox: Water prevents the formation of life. Oxygen prevents the formation of life. Lack of oxygen prevents the formation of life. Yet the only source of oxygen currently accepted is organic. How can organics be the source of something it requires present in the first place? The only way for life to create oxygen is if the life itself already has built in mechanisms present from the very beginning to protect itself from the outside environment. Needless to say, the specific details regarding the origin of oxygen remain mysterious. Catling writes, “Although we think we know when oxygen first appeared and rose, we know very little about its rise to the present level, especially about the relationship between atmospheric oxygen and the development of animals,” (Siegel). As time goes on maybe these issues will be clarified. But the paradox between life and oxygen remains. So much so that it leaves me to postulate the more likely scenario of life being created with infrastructure necessary to survive in its environment. That is, God created an environment for life, and life for an environment. There are just too many problems with a step by step natural origin for all the factors required for the origin of oxygen. As of right now, at least, it is the only answer to this paradox. I love Astronomy. I love looking through my telescope at the moon, Saturn, Jupiter, and star clusters. I love reading books on cosmology and astrophysics, and watching KCET documentaries. And if you’re like me and love these things as well then you have surely wondered the same question I have. Even more likely, if you’ve ever looked at the night sky you’ve surely asked yourself this question: Is there life out there? Are there Aliens? Are we alone? Surely the universe is big enough for more than just us. Proxima Centauri, the nearest star to our solar system, is 4.3 light years away. A light year is 10 trillion kilometers. So Proxima Centauri is 43 trillion kilometers away! Now keeping that in mind, there are over 200 billion stars in our Milky Way Galaxy, which is about 100,000 light years across. Now keeping that in mind, there are 2 million other “visible” galaxies, with upwards of 100,000 million others proposed, across a distance (visible) of 15,000 million light years. With a grand total of anywhere from 10 to the twenty-second power to 10 to the twenty-fourth power of stars within the visible universe. You have to use scientific notations for numbers that big, but in layman’s terms that’s about 10 sextillion stars! It’s almost unfathomable to think of just how big our universe is! When looking at photos such as these which show case just a few hundred of galaxies each containing an average of 100 billion stars, it’s hard not to think about all the possibilities. We’re talking billions upon billions of other planets in just one galaxy right? Surely there has got to be life on some of these other planets! Surely we’re not the only ones in such a massive universe that contains so much! How could anyone for sure say there is no life out there? Every civilization known on earth at one point or another exhibits three objectives; exploration, colonization and survival. These sociological factors are then assigned to proposed extraterrestrial civilizations, in that they will, just as we do, explore and colonize to survive. Mathematicians in 1961 took known statistics of star numbers, hypothesized life sustaining planets, hypothesized numbers of planets per star, etc and combined these statistics into the equation N=R x fp x ne x fl x fi x fc x L known as Drake’s equation. In completing this equation it was estimated that there are 10 other civilizations in our galaxy alone. As time went on, statistics of course changed, and today the product of this equation is now 0.0000008 civilizations in our galaxy. This may seem like a very low probability for life out in space, but that is actually a very high probability, considering there are at least 2 million other galaxies out there. Nobel-prize winning physicist Enrico Fermi noted the apparent paradox of these results. The Fermi Paradox is the contradiction of this high probability of ET civilizations and the fact that we haven’t made contact with any. In other words, if there are aliens out there, we should have made contact with them by now. Since we haven’t, there must not be any aliens. Now, some may run with this alone to conclude that there is no life out there. But as convincing as the Fermi Paradox is as a rational argument, it has some flaws. The first flaw is assuming alien civilizations would actually evolve into highly advanced space-bound civilizations. From an evolutionary perspective, out of all the millions of animals on earth, only one (humans) evolved to achieve space travel. So there could be many alien life forms out there that are just as simple as horses, worms or bacteria. Another flaw is space travel itself; spacecraft may be able to travel fast, but colonization processes are slow. Alien exploration would only be as fast as its colonization process. There are also many other potential flaws as well, like aliens having an ethical code to avoid other life forms, or an alien colony’s exploration hindered by funding limitations or wars, etc. The problem is, when it comes to proposed imaginary aliens we know nothing about there are millions of reasons as to why we may not have made contact with any. Therefore, as interesting as the Fermi Paradox is, it is inconclusive since it is built upon assumptions and just as easily refuted by assumptions. Ok, let’s hypothetically say there are aliens out there that are incredibly advanced and have achieved space travel. And let’s go further and say they are relentlessly exploring the universe around them. There is a significant problem with just how big our universe is. Remember that whole 15,000 million light years wide universe from earlier? Well that’s pretty big. The distance between stars is so incredibly vast that travel times would be ridiculous. This is not even taking into consideration the distance between galaxies which is even larger! The Apollo astronauts took three days to get to the moon which is 238,897 miles away. At that same rate it would take 870,000 years for a space ship to reach our nearest star. Now let’s say we sent an unmanned probe out to space at a speed one-tenth the speed of light. It would still take 43 years to reach the nearest star. So yes, higher speeds are possible, but then we run into another problem. For every cubic kilometer of space there are on average 100,000 particles of silicate and ice. Hitting one of these small particles at incredibly high speeds would cause a massive explosion on the ship. Now granted, hitting one of the 100,000 particles per cubic kilometer is a very small chance, it’s still a chance. And if you’re traveling a vast distance of 4.3 light years, that very small chance turns into a guaranteed fact. But let’s give astrobiologists the benefit of the doubt. As said before, our universe is incredibly large. So when it comes to our search for ET life, even our most advanced technology doesn’t do us much good. The popular astronomer analogy is the glass of water analogy. With our current technology and capabilities, our search for ET life is as effective as dipping a glass cup into the ocean, pulling it out, and examining the contents of the water in the cup to determine whether or not there are fish in the ocean. Just as the ocean is too large for one glass cup to discover fish, so is the universe too large for our ability to discover alien life. We do however have the ability to search our own solar system! Believe it or not, our solar system’s variety of planets and moons is incredibly rare compared to other systems we observe around us in our galaxy. The planets in our solar system have different sizes, density, atmospheres, moons, etc. They provide a plethora of different environments for life to exist on. If you believe in evolution which proposes that life can develop via simple means and adapt to any environment then we should surely find life on these other celestial bodies! The search first began with our moon. Between 1969 to 1972 six lunar landings revealed that the moon was sterile of life. In 1976 the Viking probe went to Mars only to find it too was sterile of life. Both Voyager missions which traveled to Saturn, Jupiter, Uranus and many of their moons revealed incredibly harsh and unlivable conditions everywhere. Radio-telescopes to this day scan the skies searching for ET signals and beaming our own signals out. Yet to this day, no conclusive proof of life outside of earth has been found. But wait! Haven’t there been discoveries of micro-organisms found on meteors and rocks from Mars. And what about earth like planets in other solar systems? Let me again state that there has been no CONCLUSIVE proof of life outside of earth found. There have been many claims of microorganisms found on meteors since 1996. Problem is these results are always inconclusive because there is no way to know whether or not these samples were contaminated with life from earth after they landed. Especially when these microorganisms are identical to the ones found on earth. But even if we did find life on other planets, moons or meteorites, contamination from earth can still come into play. As physicist Paul Davies suggests, if Mars is capable of projecting rocks to Earth, than Earth is just as capable of projecting rocks to Mars. Microbial life from Earth has been found at altitudes ranging from 30,000 to 130,000 feet. Solar wind is capable of blowing organisms from 0.2 to 1 micron in size throughout our universe. Some microbial life forms can survive temperatures of -200 degrees centigrade for six months and still be able to germinate. Some microbial life forms can survive 600 kilorads of x-ray radiation. The smallest amounts of graphite can protect microbes from UV rays. A meteorite impact of massive scale might be enough to project some earth rocks to another planet. Inside these rocks would be plenty of microbial life that could germinate on the surface of another planet if the conditions were right, though conditions are never “right” on any planet in our solar system other than earth. All this means is that life from earth could potentially survive space travel for short periods of time. Now the possibility of life surviving space travel, and then spreading onto another planet, is extremely unlikely. Even microbial life has a shelf life in such extreme environments. It becomes even more unlikely to propose that alien life could survive coming from another solar system to ours. Let’s take for example our nearest star, Proxima Centauri, 4.3 light years away. Let’s say a rock was somehow ejected from a planet from that system containing microorganisms and made a direct trip to earth. At the speed needed to escape it’s own planets gravity, it would take about 115,000 years to get here. And much longer for any other rock coming from any other system. Way too long for life to survive on that rock. By then, radiation, extreme temperatures and lack of nutrition would surely destroy any life/DNA it contained. All in all, at the end of the day, we still find ourselves empty handed when it comes to the search for life outside our planet. However, the “absence of evidence” is not “evidence of absence.” In a debate that seems so hotly debated using mostly assumptions, speculations and imagination it is important to not overlook the hard facts that we have laid out right before us. As said before, life requires the “right” conditions for it to exist. These conditions are obviously found on earth. But a common misconception is that these right conditions are anywhere and everywhere in the universe because the conditions are pretty simple. I remember in middle school learning about space in my science class with my teacher (and text book for that matter) claiming that earth contains life because earth is just the right distance from the sun and contains water. That’s it. Just those two simple factors; temperature and water. Well in that case life is pretty easy and should be able to easily form on planets all over the universe! Water is a very important factor for supporting life on our planet. But a planet must be a certain distance from the sun for water to be present in its three forms; solid, liquid and gas. This zone at which water can take these three forms is called the Circumstellar Habitable Zone. If earth were 5% closer to the sun, we’d be out of the zone and all water would boil and evaporate. (Ex: Earth would turn into a Venus like planet). If earth were 20% further from the sun, we’d once again be out of the zone and all water would freeze. (Ex: Earth would be more Mars-like). But when taking the Climatic Runaway Principle into consideration, the earth could not be 2% closer nor further from the sun. Climatic Runaway Principle: The earth is perfectly balanced between a run away heat up and a runaway freeze up. If the earth get’s just a little too hot, more water vapor and CO2 will collect in the atmosphere which will increase the atmosphere’s greenhouse effect, which will only perpetuate the temperature increase, and further the greenhouse effect until the heat becomes intolerable to life. If the earth get’s just a little too cold, more ice and snow will form. The white color of the ice and snow reflects sunlight out of our atmosphere cooling the planet, which would in turn leads to more ice and snow, and cooler temps, and so on and so forth. This is the type of star we orbit. If the sun were less massive, like 90% of the stars in our galaxy, the habitable zone would be smaller and we’d be much closer to the sun. The dramatic increase in gravitational pull from the star would knock earth out of rotation and we’d be perfectly synchronized orbiting the sun. In other words, no more night and day. One side of the earth would experience constant day light, constantly facing the sun, all water would boil and the surface would reach extreme temperatures. The other side of the planet would be in constant night (darkness), all water would freeze and the surface would be extremely cold. Most other suns in the universe emit much more radiation than ours, too much radiation for a magnetic field on earth to protect its inhabitants. Our sun emits much more visible light than most other stars as well. Two-thirds of all stars are part of star systems, or groups of stars. If earth were orbiting a star in a star system we’d be plagued by extreme heat, extreme gravity fluctuations, and intensely bright light. Life could never exist under such circumstances. But our sun exists independently. Most stars are also unreliable, their energy output fluctuating from 10% to 150,000%. But our sun burns consistently continuously. C: Protected by giant gas planets. In our solar system we have 4 gas giants; Jupiter, Saturn, Neptune, and Uranus. These planets are much larger than earth and therefore have a stronger gravitational pull. The gravitational pull attracts many large asteroids and other hazardous material traveling through space that could easily threaten the existence of life here on earth. 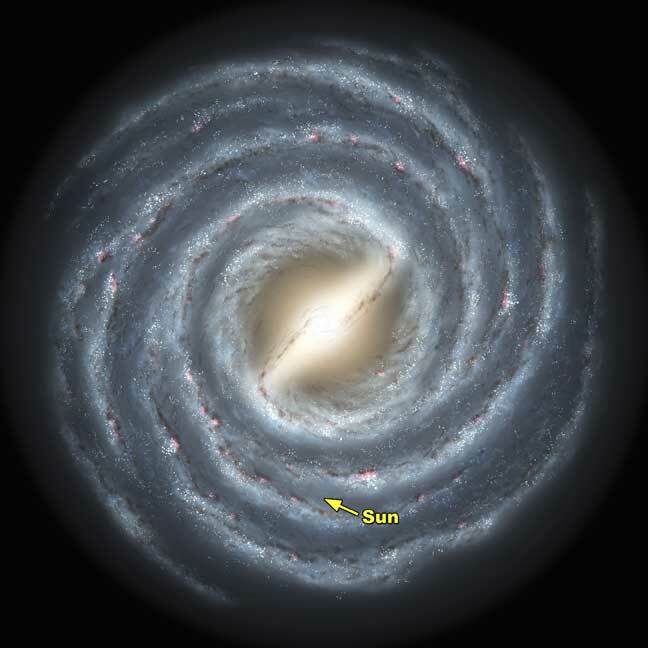 Our solar system is orbiting within a spiral galaxy (Milky Way), about halfway from the center to the outside. The center of our galaxy is super crowded with stars and supernovas, with the exact center being a black hole. All these things would pose immediate destruction to any planets caught in the middle. The outer edge of our galaxy is far less crowded, but this poses another major issue. Our earth is made up of many elements; Iron, Magnesium, Oxygen, etc. The outside of our galaxy contains very little to none of these heavy elements, which would make planet formation virtually impossible. From the picture above it is easy to tell that our solar system (or “sun”) lies within an empty gap between the denser spiral arms of our galaxy. Even our galaxy is rare. Life could only exist in a spiral galaxy, like ours. But only 5% of all the galaxies in the universe are spiral armed galaxies. The other 95% are elliptical or irregular. 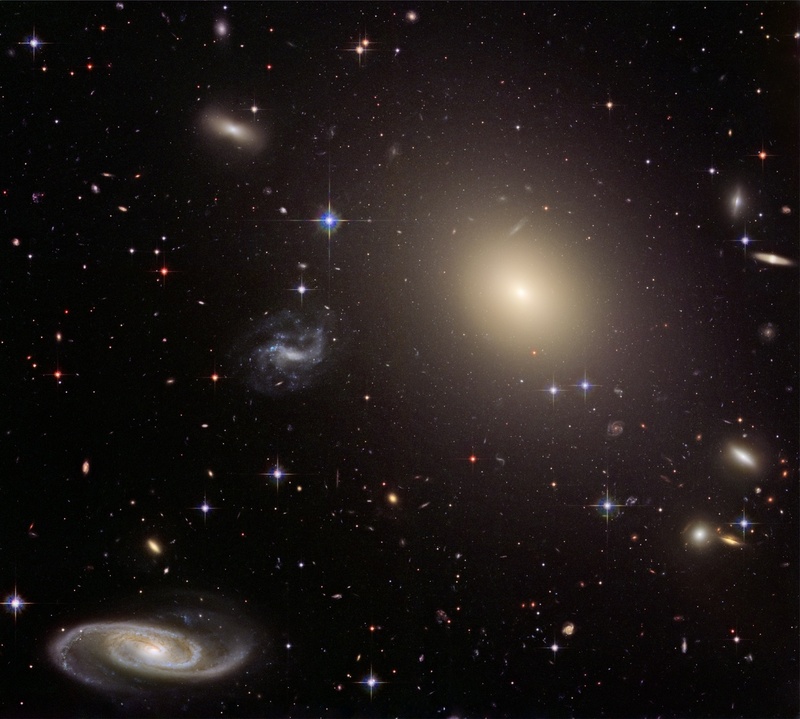 Elliptical and irregular galaxies have active-nucli that spew out massive amounts of radiation, which would prevent life from forming within them. They also lack enough heavy elements for life as well. Our orbit around the sun is almost a perfect circle. This allows consistent temperatures throughout the year making our earth tolerable for complex life. If our orbit was oval or irregular, our planet would experience long spells of extreme cold followed by short spells extreme heat. Our atmosphere contains; 78% Nitrogen, 21% Oxygen, 1% Carbon Dioxide. Our atmosphere helps protect us from the suns radiation, trap warm air to make nights temperate, and regulate the overall temperature of earth. These features allow for liquid water on our planet as well. The earth is the perfect size for life to exist as well. If earth was any smaller an atmosphere would not be large enough to protect us from the sun’s radiation. If the earth were any larger, the stronger gravity would collect hydrogen in our atmosphere, too much hydrogen in fact, making life intolerable. Our moon is one-forth the size of earth. The gravity of our moon keeps our planet’s rotation at a constant tilt of 23 degrees. This tilted rotation allows for moderate seasons, and combined with earth’s rotation, allows for our ocean’s currents (Coriolis Effect) which help displace and spread the heat absorbed by the sun, keeping the temperature on earth regulated. Even the distance of the moon from earth is important. If the moon was too close, the gravitational pull could cause tides to sweep over entire continents, or worse, the friction from the gravity would cause the oceans to boil. If the moon were farther away, its gravitational pull would be so weak that there would be no tides but instead large pockets of stagnant ocean. Most marine animals could not survive in stagnant waters, which is important considering most of earth’s oxygen is replenished by marine life. The iron core of earth creates a magnetic field around our planet. This magnetic field shields us from solar wind emitted by the sun. If our earth were slightly smaller, the magnetic field would be weaker and the sun’s solar winds would be able to break through stripping the surface of earth from ever containing life. If the field were too strong, severe electromagnetic storms would be ever present. There are more than a dozen plates on the earth’s surface (crust, which is about 30-40 miles deep). Our crust is considered “paper-thin.” Plate tectonics allow the inner temperature of earth to be regulated by releasing pressure at various points. The shifting of our plates also recycles carbon, pushing up rock layers to the surface replacing the land that is being eroded by the elements. This process is essential for life. Over 70% of the earth’s surface is water. All bodies of water on our planet work as a buffer, absorbing all the suns heat and regulating the winter’s freeze. Without large bodies of water, life on earth would be impossible. Water itself is also one of the key fundamentals for life. Water has a high specific heat, making chemical reactions within our body tolerable. If water had a lower specific heat, we would boil in our bodies when our organs conducted everyday normal functions. Water also dissolves acids, bases, and salts. It serves as a medium for chemical reactions to take place without actually being involved in the chemical reactions. Water is the only solution that allows blood to flow properly through our bodies. Every other liquid found on earth would be to thin or thick, and those with the right density would corrode and dissolve our blood cells. The rate of rotation is almost perfect for life to exist on our planet, balancing out how long we’re exposed to the sun’s warmth, and the night’s cold. If we rotated slower we could spend days or even weeks with daylight and then go the same amount of time in the night. If we rotated faster, the surface of earth would be ravaged by incredibly powerful wind storms. This would make complex life extremely difficult to survive. The amount of sunlight the earth reflects and absorbs is perfect. If it did one or the other more, we’d experience a runaway freeze or a runaway heat up. Astrophysicist Hugh Ross goes on to bring even more factors into play; like proximity to supernovas and white dwarfs, number of stars in a planetary system (more than one would prevent life), parent star birth date, orbital eccentricity, collision rate with asteroids and comets, water vapor levels in the atmosphere, atmospheric electric discharge, ozone layer, seismic activity, soil mineralization, etc. In total, Ross lists thirty-two essential factors required for life to exist on a planet. -Most are too close to the stars they orbit, meaning the planet is extremely hot. -Many have huge elliptical orbits, which cause massively violent temperature and gravitational swings. -Most planets are massive in size possessing crushing surface gravity. -These factors combined cause gaseous planets like Jupiter which are unlivable. In fact, as of 2007, only one planet of the 220 exoplanets discovered, named Gilese 581 C, is roughly earth sized at 1.5 times Earth’s diameter. Media blew up over the discovery saying it may contain life like earth. Problem is, being 1.5 times the diameter of earth would make its surface gravity twice that of earth’s. The planet is also 7 million miles away from its star, which is 13 times closer than earth is from our sun. Though the star is fifty times cooler than ours, so it is proposed the planet may have tolerable temperatures. Having roughly the same size and roughly the same temperature is not alone ideal for life, especially when we don’t know if the planet has water, or any of the other essential factors mentioned earlier. I should mention in 2010 another exoplanet named Gilese 581 G was discovered with a mass 3 to 4 times that of earth with gravity 1.1 to 1.7 times that of earth that is within Gilese’s proposed habitable zone. Again the media jumped all over the discovery, but again we have no proof of life on the planet, only evidence of two factors out of the dozens of factors needed for life to exist. We don’t know the chemical composition, the albedo, surface temperature, or atmosphere on the planet. Furthermore, all six of the exoplanets discovered around Gilese all have the same problem: Gilese itself. Gilese is a late spectral type star subject to consistent solar flares with a consistent 2% brightness change both of which would cause massive temperature and magnetic swings for all the planets around it, which would be lethal to life. In October of 2010, NASA posted an article on their website testifying that one in four stars like our sun may have earth-sized planets. As exciting as that is, when you really think about it, it’s not really saying much. Only 10% of the stars in our galaxy are G2 dwarf stars like our sun, and of that 10%, one-fourth may have earth sized planets. * In other words, 2.5% of the stars in our galaxy may have earth-sized planets. As you can see from just pinpointing star type and planet size we’ve already thrown out 97.5% of the stars in our galaxy. So when you consider there are more than thirty other factors to consider you can begin to see how small that chances are of these planets containing life. But the real kicker is that the article admits that in the survey they only observed planets with orbit ranged 0.25 AU or closer to their star. In other words, three-quarters closer to their stars than earth is. No life could exist on a planet orbiting that close to a G2 dwarf star! But let’s give these exoplanets the benefit of a doubt and say that all the necessary factors for life are present on these planets. That still doesn’t mean there is life. You can have all the ingredients and appliances to make a cake in the kitchen, that doesn’t mean that one day you’ll walk into the kitchen and a freshly baked cake will be on the counter. In the same way, all the factors required for life does not mean there will be life on these planets. As Environmental Scientist Shaun Doyle states, “There is no reason to assume that just because a planet is possibly in a habitable zone that it will necessarily be inhabited. There is nothing inherent in the laws of physics and chemistry that says life must come from non-life wherever there is liquid water.” JPL Systems Administrator David F. Coppedge agrees, “It is no more logical than assuming that if iron is found on a planet, skyscrapers can’t be far behind. The key to life is the way its ingredients are organized, not just the materials used.” Which leads to the next topic of conversation, the Law of Biogenesis. The Law of Biogenesis states that life has only been observed to arise from existing life. In other words, life arising from non-life has NEVER been observed by man. This problem throws a wrench in the spokes evolutionary principals of life evolving on other planets as well as on our own. The belief that life exists throughout our universe and is dispersed through meteorites is known as Panspermia. Yet the most prominent proponents and pioneers of Panspermia like Arrhenius Panspermy and Francis Crick admitted to be frustrated by the failures of chemical evolution to produce life. If life can so easily emerge from non-living chemicals than it should be doing so constantly, yet it has never been observed and is in-fact considered mathematically illogical my many scientists if left to chance. Now, you may be thinking I’m making a huge assumption here. That life can only exist as it does on earth. Isn’t that a huge assumption? Can’t alien life take on all kinds of abstract chemical forms? No, they cannot. 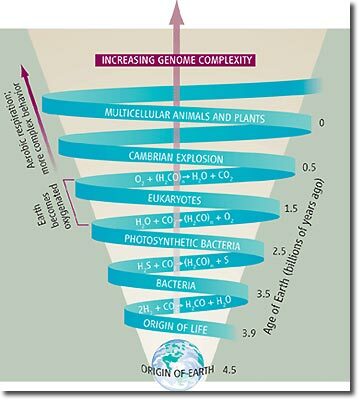 All life on earth is Carbon-based life. The only elements that can support life are carbon, silicon and boron. The problem is boron is extremely rare and silicon can only hold together no more than a hundred amino acids. Therefore, only carbon can sustain alien life, thereby making all the prerequisites for life, which has been mentioned in this article, absolutely necessary. Any life, whether terrestrial or extra-terrestrial, will have to be Carbon-based life. I can’t help but think back to what Stephen Hawking said about alien life being completely rational considering the millions of galaxies each containing billions of stars. But is that really rational now knowing what we know? His statement is based in vast possibilities as if stars equal life. Unfortunately for him, stars do not equal life. There are at most 10 to the twenty-forth power stars in the universe, yet the odds of a planet containing life is 10 to the negative forty-second power. Just comparing those two numbers alone should be enough to be convincing. We can continue to speculate and imagine other alien worlds all we want. But a truly scientific person, a truly rational person, will understand that extraterrestrial life is just not rational. I consider myself a man of science. But I more so consider myself a man of faith, and trust the Bible to be the accurate word of God. So when it comes to issues such as these, I believe the Bible is the definitive, authoritative and final blow to the prospect of aliens existing in our universe. The Bible paints a picture of God creating all life on earth and no place else. All of this life was affected by Adam’s sin (Romans 5:12, 6:6, and 6:20), which was of course redeemed by the salvation of Jesus (John 1:29). For those who believe in both aliens and the Bible I feel compelled to ask, how can aliens achieve salvation? The Bible says all of Creation was affected by Adam’s sin. This would include aliens as well. If Christ is the salvation for our sin, how can aliens beyond the reach of the gospel message be saved? 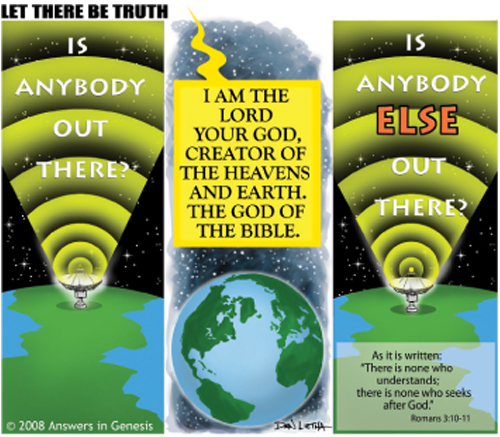 Some suggest that the aliens were given their own “Christ” to save them, but this contradicts the Bible’s reference to Jesus being God’s “one and only son” (1 John 4:9). Other suggestions are that after Jesus left earth he went to alien planets as well to fulfill the same acts he did here on earth. This also contradicts scripture which states that Jesus would live and die once and for all (1 Peter 3:18, Hebrews 9:27-28). There is nothing in the Bible that would suggest God created other alien life forms outside of earth. Based on everything I’ve covered from the science realm and the spiritual realm I personally draw the conclusion that there are no aliens out there. Sorry. So if God created everything, and only created life on earth, the next question is; why do we have stars? Why are there other galaxies and nebulas, and comets, etc. Why is the universe so big? Wouldn’t a creator God render all these things unnecessary? There are two answers to these questions. As said before, the earth requires particular prerequisites in order to sustain life. But there are even more prerequisites required in our universe for planets themselves to exist. The Laws of Physics must be exactly what they are in order for life to be present. The force of gravity, strong nuclear force, velocity of light ect. Without these laws of physics in place, exactly how they are, planets couldn’t form and stars wouldn’t burn among many other issues. So our laws of physics are crucial. But what is crucial for the laws of physics to be in place? The mass density of the universe. The universe is at the perfect mass density in order for the laws of physics to be what they are. If the universe had a smaller or larger mass density, a domino effect would ensue; the laws of physics would be thrown off preventing any stars and planets to exist. To cut out all the middle man factors and simplify this, think of it this way: The universe has to be so incredibly large with so many other galaxies in order for life to exist. If the universe did not hold the mass density it has, life as we know it would not exist! God made us a universe specifically designed to incubate life! Furthermore, Genesis 1:14 states that God created the stars to convey messages and measure time, like seasons, days, months, and years. Which indeed humans have been using the celestial bodies to measure time for thousands of years. Humans have also been able use celestial bodies to navigate long distances on earth. In knowing these two things it becomes abundantly clear: We need those stars. God created them for us! In secular circles where an incredibly small microscopic chance is still a “good” chance, there remains hope to contact aliens. Hence the millions of tax dollars spent each year beaming out signals and listening for return signals via the SETI program. A desperate attempt to discover the ET that isn’t there. A desperate attempt to find some intelligence in the stars. Why? There are three main reasons why alien life is pursued; vindication, information and a cure to a cosmic loneliness. Vindication in that finding alien life will solidify many beliefs regarding evolution theory, but will more so throw certain religions out the window. As said before, the Bible leaves no room for alien life. Therefore, discovering alien life renders the Bible inaccurate. Though the question of how did the alien life begin will remain ever present and will in no way disprove a belief in God, just disprove the Biblical God. Information in that finding alien life will surely lead to information swap. Think of all the information and knowledge we could gain from each other! Mankind would surely benefit from what would be learned. We may learn the answers to questions like, where did we come from? Who are we? What is the meaning of life? A cure to cosmic loneliness in that we would forever solve the question “are we alone?” Some would be more satisfied to learn we are not. There is some form of fear and isolation in the thought that we are the only living things in this incredibly large universe. There seems to be this longing to discover something greater than us and to learn from it. Ladies and gentleman, I believe that longing and desire to learn and discover that alien life out there is a misdirected and misunderstood desire. We realize there is something more out there! There is something greater than us out there! There are answers to our questions out there! But it’s not aliens. That longing and desire is for God! Everything we want to find in aliens; answers and fellowship in this universe, is all achieved through the God of the Holy Bible! Of course there would be this desire to know God, it’s written in the heart of every man, woman and child. “…that which may be known of God is manifest in them; for God hath shewed it unto them. For the invisible things of him from the creation of the world are clearly seen, being understood by the things that are made, even his eternal power and Godhead; so that they are without excuse” (Romans 1:19-20). The answer is right in front of you. The answer is God. Sagan shows this desire for God misdirected. He’s right when he says that the message may already be here, and that we may have not made the right mental effort to recognize it. As the Bible says in Romans 1:21, “when they knew God, they glorified him not as God, neither were thankful; but became vain in their imaginations, and their foolish heart was darkened.” The message is here and can be found in the Bible. Again I say, the answer is right in front of you and it always has been. Are we alone? No. God is with us, for us, and always has been. Stephen Hawking, “Stephen Hawking’s Universe,” Documentary. Paul Davies, “Planets Can Swap Rocks,” Creation, Jan 1996. Hugh Ross, Ph.D, The Creator and the Cosmos, (Colorado Springs, CO: NavPress, 1994) Pg. 145. Russell Grigg, “Did Life Come From Outer Space?” Creation.com. New Scientist 165(2221):19, January 15, 2000. Ron Cowen, “Were Spiral Galaxies Once More Common,” Science News 142 (1992) Pg. 390. Guillermo Gonzalez and Jay Richards “The Privileged Planet,” (Regnery Publishing, Inc. 2004). Hugh Ross, Ph.D, The Creator and the Cosmos, (Colorado Springs, CO: NavPress, 1994) Pg. 132. New Scientist 177(2388):24, 29 March 2003. Gary Bates, “Hosing Down the Hype; New planet find has ET hopefuls in a frenzy.” Creation, May 2007. There are currently 440 exoplanets known at the time this was written, surely more have been found as of today. The issues found in 2007 still apply though. * On a side note, astronomers are beginning to find dozens of new lone planets that aren’t orbiting stars. Because they don’t orbit stars they are very difficult to see, basically floating in darkness. Though we may find hundreds, thousands or millions of these planets, it has already been settled that no life could exist on them with no star to orbit. Shaun Doyle, “Extrasolar Planet “100% likely” to have life?” Creation, October 2010. Hugh Ross, Ph.D, The Creator and the Cosmos, (Colorado Springs, CO: NavPress, 1994) Pg. 125.